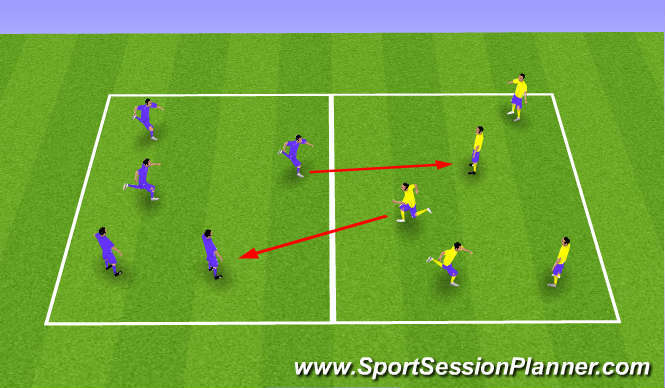 Get players to number themselves 1 to 5, number 1 runs in to opponents grid and has to tag a player, when they are successful they call number 2 from their team. The first team who tags their opponents with all their own players wins!!!! Get players to be on their toes and transfer body weight with shoulder drops and quick movements. Once again players numbered 1 to 5 in their teams, players need to go in numerical order and intercept the ball in opponents grid. 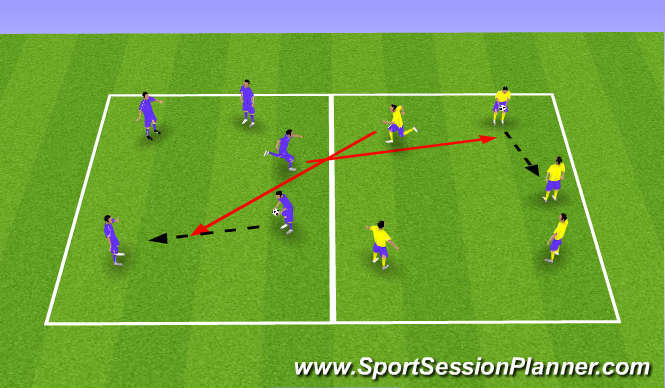 Coaching points, players that are trying to intercept the ball need to be on their toes and transfer body weight. 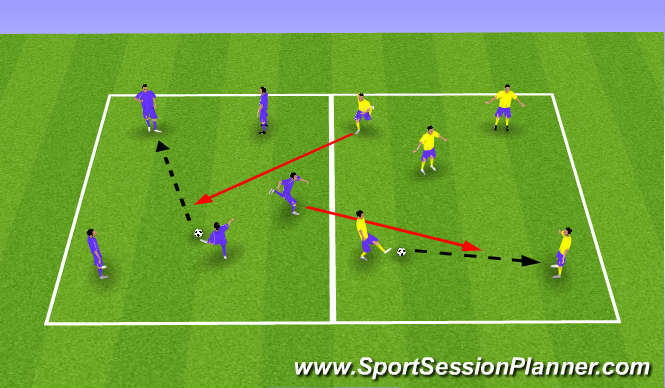 Players that are passing the ball need a good touch, or quick first time pass, good weight of pass, move and create space and communicate with team mates. First team to all have intercepted a ball each wins.